An abstract and glamorous rug design perfect for injecting a pop of colour into your home interior. The Balance Rug by Serge Lesage is inspired by the patterns and hues from the fashionable 1970’s. 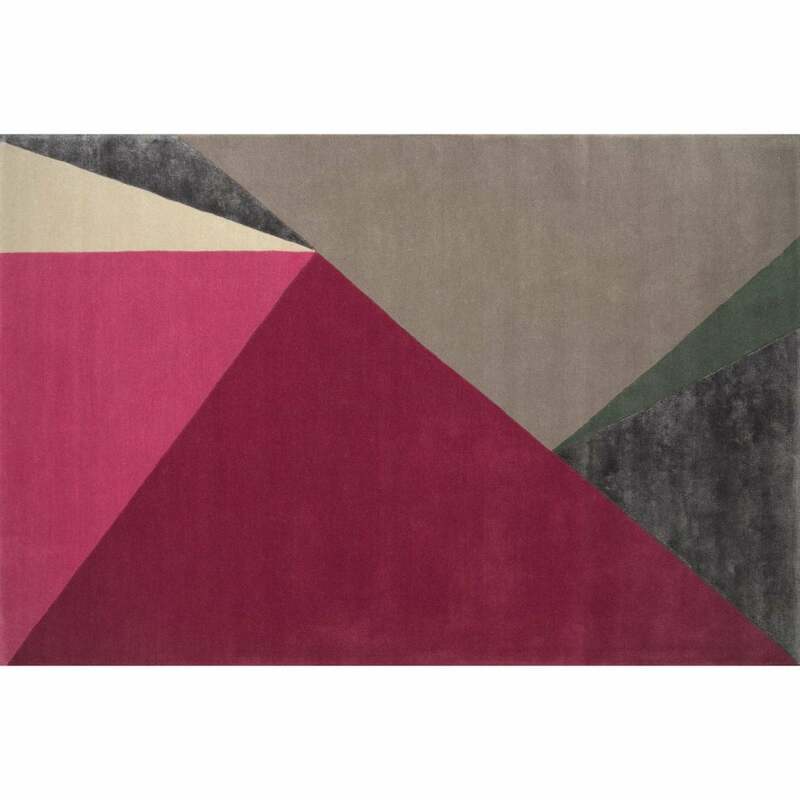 The chic triangular motif features warm colours of Persian red, classic taupe, forest green and fuchsia. This beautiful colour palette has a timeless yet contemporary appeal. Hand-tufted from soft New Zealand wool and viscose, style with mid-century modern furniture pieces for an eclectic look. Bespoke sizes are available upon request. Make an enquiry for more information.